Having had a six month break from the track, Brett was delighted to get back on track and racing. Qualifying went well with Brett putting the car on the second row of the grid giving him a great chance come race time. The races saw Brett show his racing talent and score two good results to start the season in a good way. 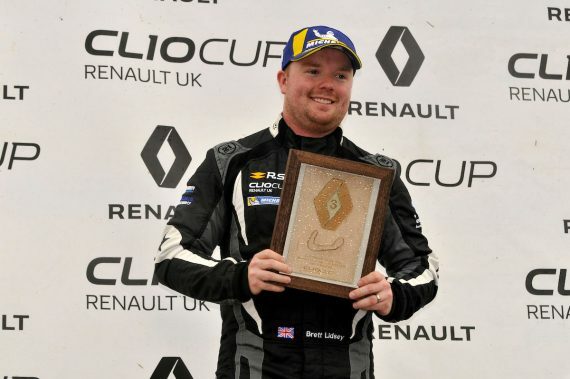 “I couldn’t be more pleased, my aim this year was to get on the podium and see off the last year of the UK Clio Cup with a bang, I feel I already achieved what I wanted in the first round so from here on it can only get better. 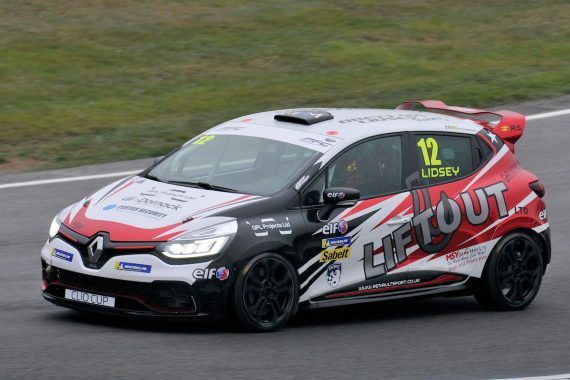 “I had a mega start in race two which put me alongside Max (Coates) this meant I was on the wet line but I was no way backing off because one lift can drop you 3 places in Clio’s so you just have to go with it. With the season underway and Brett having achieved his aims already for the season, is targeting the top step next. 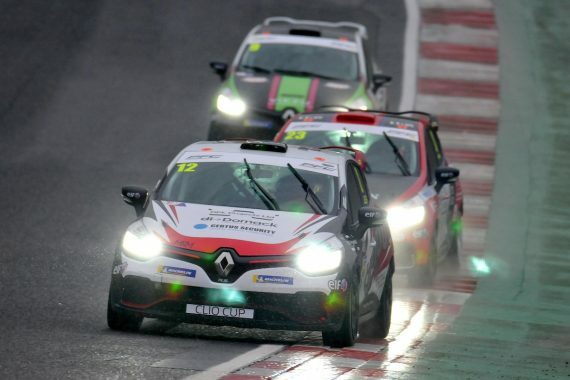 We spoke to Brett about the grid for the final season of the Renault Clio Cup and whether it was a little bit disappointing for only having 11 cars on the grid. This entry was posted	on Tuesday, April 16th, 2019 at 9:00 am	and is filed under Featured, Motor Racing. You can follow any responses to this entry through the RSS 2.0 feed. Both comments and pings are currently closed.